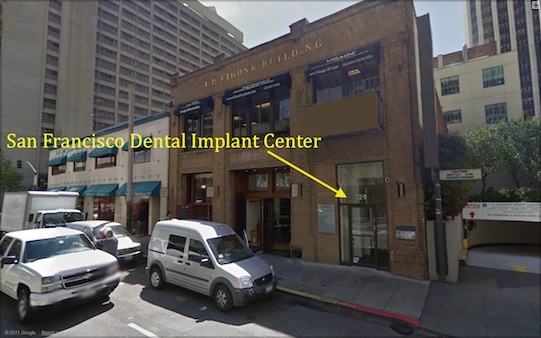 Our dental implant center is located in downtown San Francisco! ~ free dental implant consult! Many of our patients come from all over the San Francisco Bay Area in search of a top San Francisco dental implant center or a top San Francisco oral surgeon for dental implants. Guess what? Many of them take the easy trip to San Francisco in search of affordable dental implants and a top oral surgeon, our very own Dr. Alex Rabinovich. We are clearly one of the top dental implant centers in San Francisco (the city) as well as one of the top San Francisco Bay Area dental implant centers. If you are looking for a top San Francisco oral surgeon and dental implant center, call or email for a free consult. For affordable dental implants in San Francisco – you’ll be glad you did!